1. Don’t ask for extras. Keep your offer simple and “clean”. If at all possible avoid the offer being contingent on the sale of another property or any other financial constraint. or other concessions unless absolutely necessary, as doing so weakens your offer in the seller’s eyes and when compared with other offers that are not asking for this help from the home seller. 3. Don’t ask for personal property. 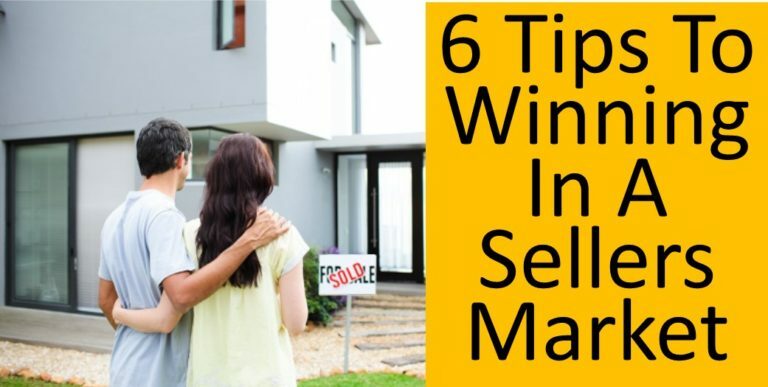 A seller’s market is the wrong time to ask for extras if you truly want the house – especially if the sale specifically excludes certain items from the sale, for example the washer & dryer, or maybe you are tempted to ask them to leave something else behind that would not normally go with the sale of the house. If you love the house, maybe you’d better skip those. 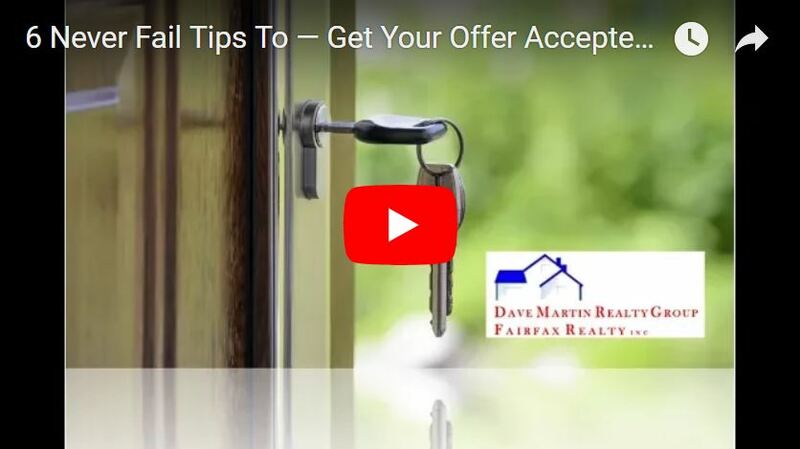 Again, you are trying to make the strongest offer possible to be able to purchase your new home in Alexandria, Arlington, Fairfax or another local Northern Virginia region. 4. Don’t put down less than you are able. If possible, make a larger down payment than is required of your loan. No matter what type of loan you use, putting more money down than is necessary makes your offer much stronger to the seller and their agent. Higher down payments always make it easier for loans to be approved. The seller’s agent and possibly the seller know this; use it to your advantage. 5. Don’t make a low-ball offer. Let’s say that you find a great home in Fairfax, Virginia that you can already see yourself relaxing in and feeling right at home — a place to entertain your friends and family; a place you can call home for years to come. Now imagine you miss out on owning this home because your offer was beaten by another offer by 1 or 2 percent! You may want to consider using an escalation clause. A well-structured escalation clause can give you the best of both worlds, allowing you to have the best chance of beating other offers while not having to pay more than you had to. 6. Don’t skip mortgage pre-approval. While many people already know that getting pre- approved for a mortgage is a necessary step, it’s particularly true during a seller’s market. Right now, no matter in what part of Northern Virginia you are considering buying a house – Alexandria, Arlington, Fairfax, Falls Church, Prince William County or other regions of N. Va., we are in a full-fledged seller’s market. But your first step should be to locate a great real estate agent, not the lender. Why the real estate agent before the lender? Well, there are tons of different mortgages, but not all lenders have access to all of them. By finding your agent first, they can help you find a lender who has loans that most closely match your goals and financial situation. To do this, the agent should ask you a variety of questions before making any recommendation of a lender. If an agent simply tells you to get pre-approved or tells you to call such and such lender without first finding out about you, your goals and financial situation; this is a red flag. It either means the agent doesn’t know enough or doesn’t care enough to help you find the best fit for you. A real estate agent can and should help you do more than find the house; finding the house is fairly easy compared with everything else. A great real estate agent is the secret sauce to advising and helping you to assemble a perfect home buying team. There are many more ways you can make your offer-to-purchase more appealing to the home seller and the listing agent. 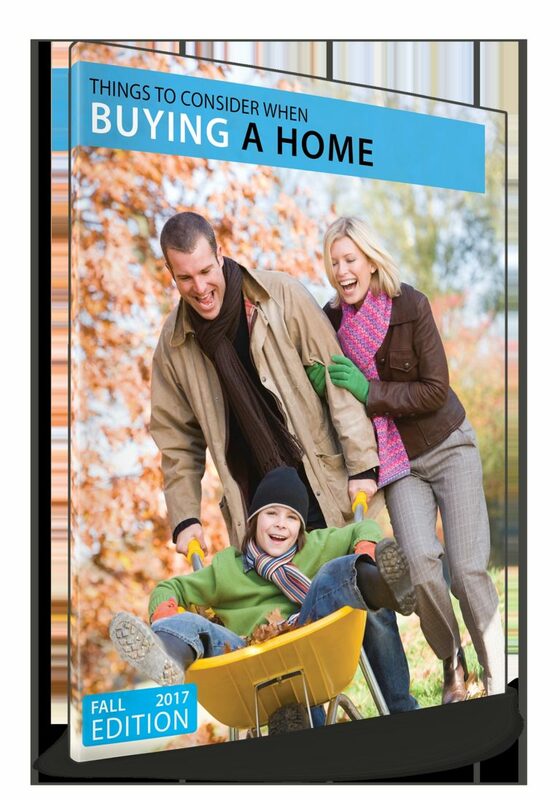 If you are ready to start the home buying process and would like some more tips before you get started, contact us today. Relax — We’ve got your back.